Explore the highlights of Hong Kong and Macau over two days during this 3-night tour. Scale Victoria Peak via the Peak Tram for sweeping views over Hong Kong, then tour Aberdeen Fishing Village, browse Stanley Market at Stanley Bay, and see Man Mo Temple. 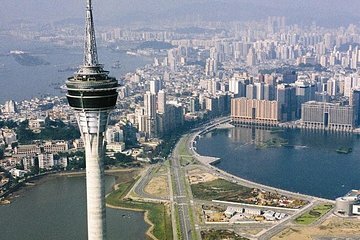 Take the ferry to Macau to discover Na Tcha Temple, the Ruins of the Church of St Paul, Mount Fortress, A-Ma Temple, the Macau Museum, the Macau Tower and glitzy casinos (optional). Includes three nights at a 4-star Hong Kong hotel. Was OK. Boat ride interesting. Sights worthwhile. Drop off at casino was odd as a lunch spot. We were charged for going up in the tower..which we had already paid for. As we were jetlag.. did not notice this. They need better communication on which tourists have paid for what.